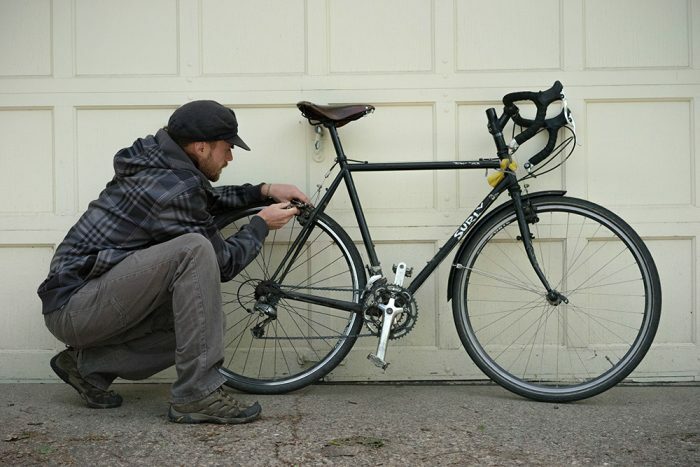 Could one bike tool replace a whole shop’s worth of accessories? After six months in the saddle and over 6,000 miles, it seems so. The Alien II by Topeak is no new tool. It’s been around since the late 90’s, but is still entirely relevant today. I’ve put this thing through the wringer, and have yet to find a better all-in-one, do-everything bike tool. The Alien II weighs in at 290g, and with a price tag just under $50, it’s a bargain for the 26 tools it includes. It’s heavy, but great for bike touring and excellent for a remote mountain bike adventure. 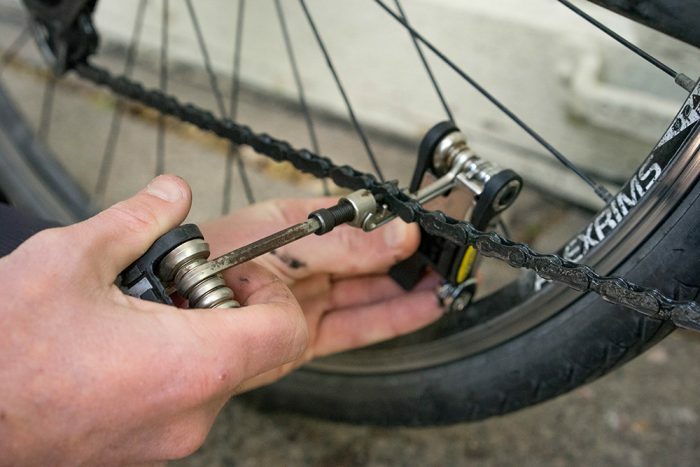 This classic Topeak masterpiece is small enough to ride in your pocket and will complete the vast majority of maintenance and repairs you’ll see. 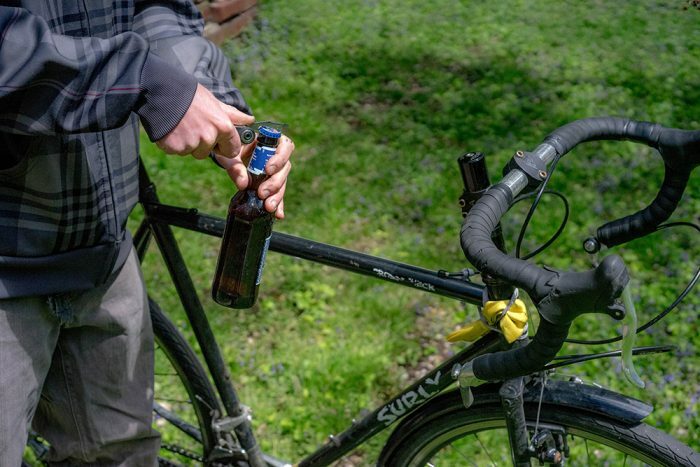 Beyond the usual tools, it also includes a device to replace a broken spoke, remove the pedals and handlebars, fix a broken chain, or cut veggies in a pinch, to name just a few uses. 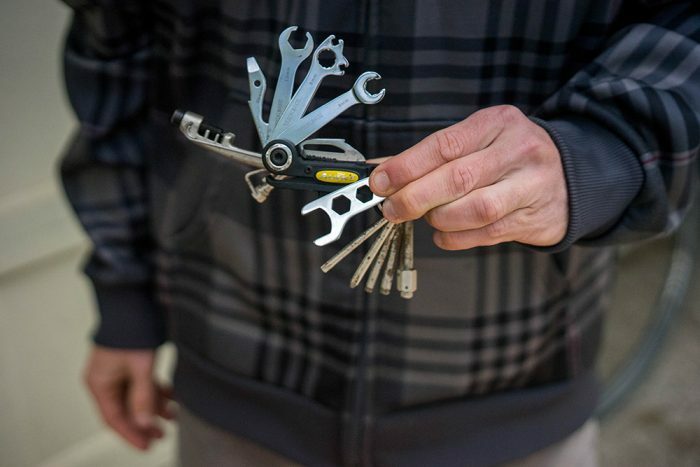 Made out of hardened steel and “engineering grade” plastic, the Alien II has eight Allen wrenches, three box wrenches, two screwdrivers, a knife, tire levers, two sizes of spoke wrenches, a chain tool and hook. 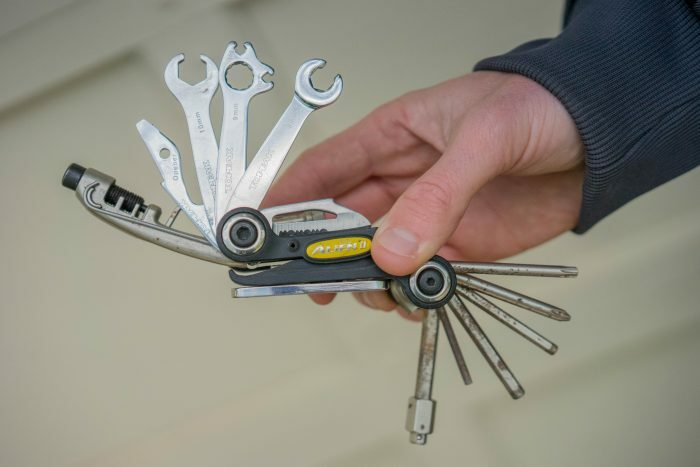 It splits in half allowing use of the two tire levers or an Allen wrench in conjunction with a box wrench. There is no need to worry about the knife swinging around to bite you thanks to the safe blade-locking mechanism. And to top it all off it even has a bottle opener thrown in to celebrate the end of a job with your favorite beverage. The Alien II won an award for Topeak back in 1996 when it was released. Since then, Topeak created the Alien III, which won the Reddot award for design in 2005. The Alien III has been slightly renovated with a new logo, pressed stainless steel shell, and slightly smaller size. The pedal wrench was removed from the design and I find this unfortunate. Topeak claims the pedal wrench is only for emergency use, and the manual states “Never attempt to remove securely attached pedals from crank using the mini pedal wrench.” Although a good warning, I would beg to differ. On multiple occasions I have assembled my bike in the airport, flown to another country, and disassembled it all back into a bike box to transport home. I have carried the Topeak Alien II on all of my past bike tours. From putting my bike together in the Anchorage airport to truing a spoke in the rains of Portugal, the Alien II has kept me out of the bike shop many times. 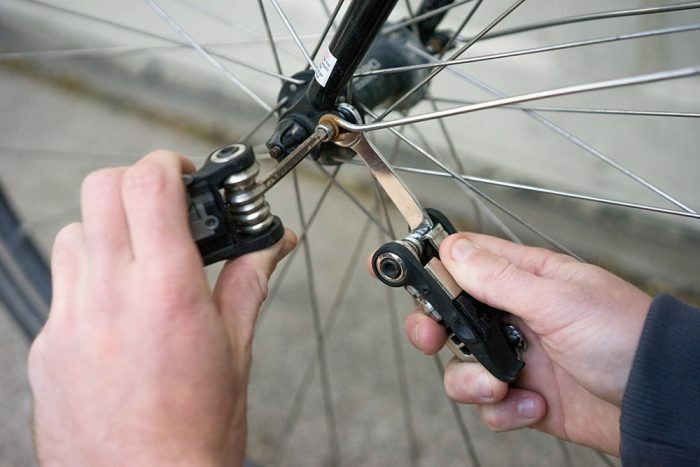 The pedal wrench detaches completely and is small and difficult to grip. Although awkward, its small size allows it to fit between the crankset and the pedal. It contains hex wrenches along the handle, these provide a place for the Allen wrench to be used for extra torque. After 6,000-plus miles and over six months of riding, the Alien II has never failed me. Three years old (I had it and used it regularly before my major trip), mine now has slight rust on the Allen wrenches, as can be expected. It has been through rain, snow, and heat. I haven’t found another tool like it, but then again I have no reason to look. See the Alien II for yourself online now.